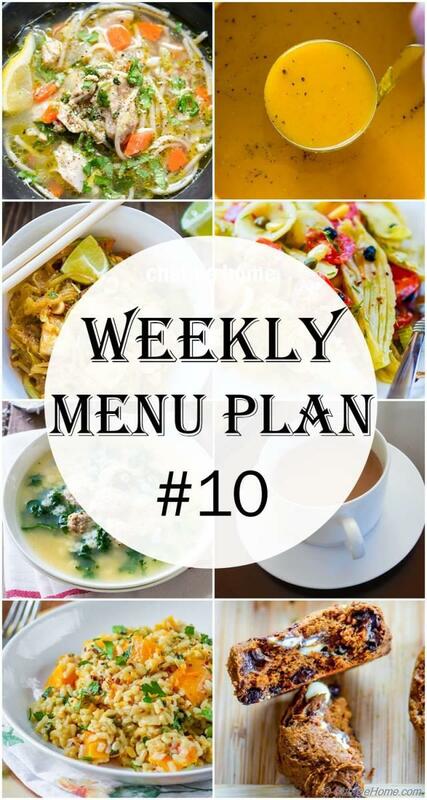 Cook some savory and even something sweet this week with this fall inspired Week Menu Plan! This week's menu plan has 12 recipes for fast changing season. Some hearty soups, make-ahead stews, and squash inspired sides and desserts! A lot of these can be made-ahead. First 8 recipes can make 4-6 variations of week meal prep. To use this menu, make stews/soups ahead. Freeze or refrigerate. Sides can be prepared ahead too. For weekday dinner, just thaw, heat, eat and enjoy! How does that sound? 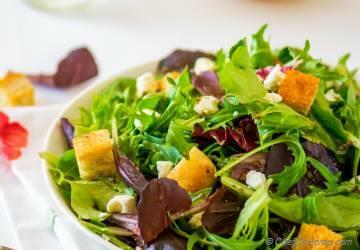 I also recommend looking at previous Meal Menus for some mix and match recipe ideas here. PS: How are you liking two meal plans per month schedule? Don't forget to leave your feedback. I try to reply to every feedback I receive. 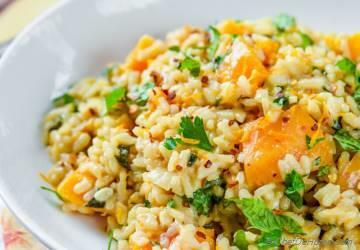 Monday - Start Monday meatless and fall-like with this vegetarian Butternut Squash Risotto! Tuesday: Make mole sauce on weekend, grab some rotisserie chicken. 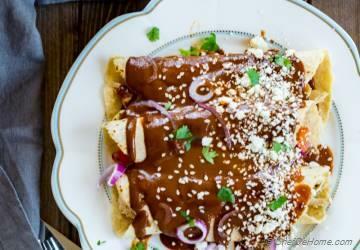 You have Enchiladas for Tuesday dinner! 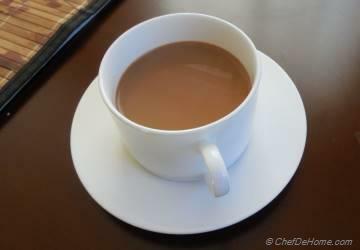 Warm spiced mole is meant to enjoy in cold days! Look out for slow cooker version. Wednesday: You got to try this soup! It is a complete meal! 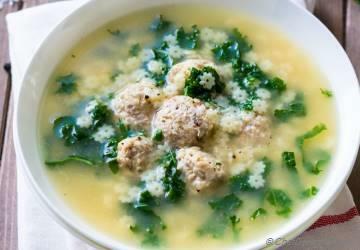 Pasta, meatballs, broth, greens = dinner is served! 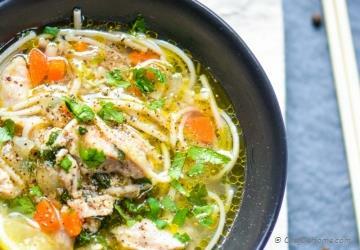 Thursday: Chicken Noodle Soup please! 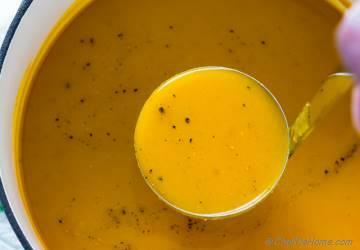 Thursday: Or a Butternut Squash Soup with Grilled Sandwiches! Try something different for Saturday Breakfast! 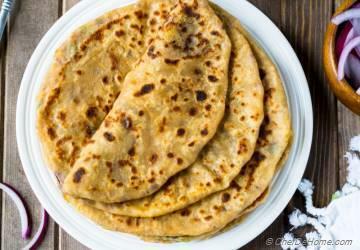 How about some Indian Potato stuffed Flat Bread - Aloo Paratha?! 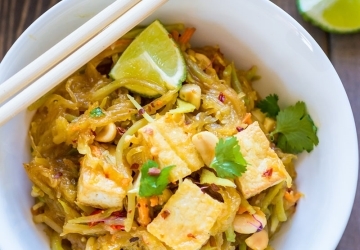 Saturday: This gluten free Chinese is totally Fall Inspired! 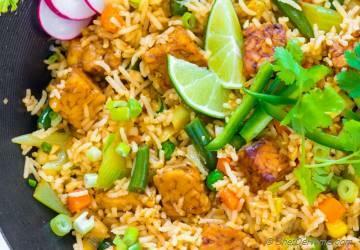 Vegetarian with tofu, but you can also add Chicken! 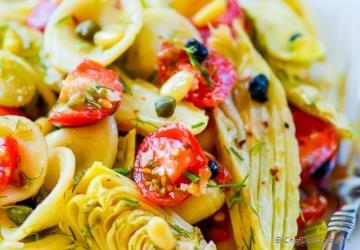 Sunday: This delicious side makes a great lunch or veggie-inspired dinner! Serve with side of roasted chicken. Pack leftovers for lunch! Save chicken leftovers for weekday fillers! Dessert in Fall and Baking Season is must! 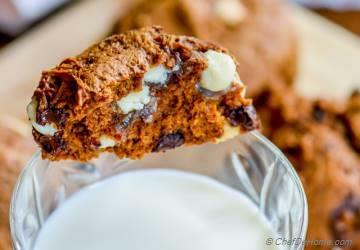 How about these Pumpkin Cookies? Oh, this Pumpkin Spiced Chai is to-die for! Must try! Love your recipes. Awesome meal plans, too. I am vegan so look forward to your Vegetarian options. Cheryl, thanks! I hope, I keep sending some delicious veggie recipes your way. :) If you prefer, you can subscribe to ChefDeHome newsletter for weekly updates. Have a wonderful day.